Tuesday's first semi-final sent shockwaves through the markets as Ireland and Albania (both trading at over [4.00] to qualify) managed to sneak through. This was largely at the expense of powerhouses Greece and Armenia, both of which boast huge diaspora strength and usually finish high up on the Saturday night final scoreboard. Unfortunately, it was also a bad night for my recommended positions. Though Finland, as predicted, did shorten in-running when punters recognised X Factor's Saara Aalto on stage, she also considerably stepped up her game compared to rehearsals and brought life to the quite kitschy show. It will be interesting to see how close a call her qualification was, as detailed semi-final results are revealed after the finals on Saturday. In any case, Eurovision is a marathon and not a sprint, and also tonight the approach will be to find value angles rather than low-odds bankers. It's considered to be a very weak heat but also a quite even one, with relatively few surefire qualifiers or no-hopers. I've found the value to be in acts I consider borderline but the market has a stronger opinion on, as well as a punt on which act will receive the most points of all in the semi-final. Poland is sending DJ Gromee with Swedish Lukas Meijer on vocals, a duo which isn't entirely easy to present on screen as they're completely separated from each other. Add to that Gromee's questionable Dad dancing moves and Lukas' slightly shaky falsettos, and the overall picture is that of much more borderline qualification chances than the market currently has it. Many might look to Norway's JOWST and their strong result last year in the same genre, but it was better sung, better presented, and with a less dated sound (Polish juries agree, placing the act only third in their national selection competition). Poland might still very well sneak through this weak semi on voting strength alone, but is worth taking on by laying qualification around the currently traded [1.30]. It was very pleasing to see the very current-sounding piece "Hvala, ne" from Slovenia being staged and performed so well that is, until the music suddenly stops about two minutes into the song, prompting a surprised "Where is the music?" from competent singer Lea Sirk before getting the audience to clap along in the otherwise silent hall. This is of course all for show and might go down well with the viewers at home tonight, but I very much worry about the juries' reaction. What up until that point has been one of the most credible entries in the semi-final (albeit pulled down by not being sung in English), now risks being viewed as gimmicky novelty. That would be a real shame. Nonetheless, its strengths are obvious and at the current [4.80] it's worth hoping that juries will be willing to overlook this very Eurovision-style stunt. As said previously this is quite a weak heat, with few strong contenders for the semi-final win. 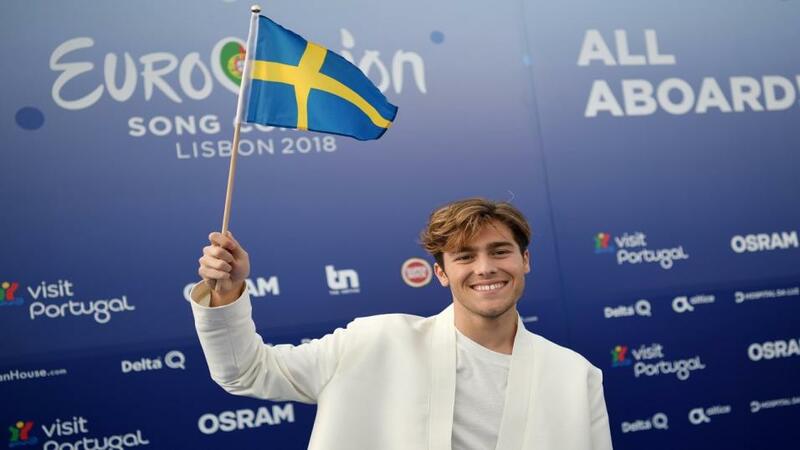 Norway's Alexander Rybak returns after his 2009 win with a woefully weak song, but should definitely not be discounted as he is an absolute machine of a performer, simply radiating charisma that will win over viewers and juries alike. Still, he's short in the market and a semi-final victory from first position in the running order would be unprecedented. A worry is that vocals weren't at their best in the important performance for juries last night, but that may be outweighed by the very slick and unique presentation. As for voters at home, Rybak will no doubt be hard to beat. Here, Ingrosso - cousin of Swedish House Mafia's Sebastian - will have to hope for his late position in the running order to be enough to close the gap. Back at around [3.90] to win the semi-final.